The Deutschland Tour will be a big cycling festival. Bigger and more colorful than ever. From August 23-26, the Deutschland Tour 2018 will connect German cities and regions with four challenging and varied stages, ending with the big finale in Stuttgart - with family and amateur-oriented bike activities in all stage towns. 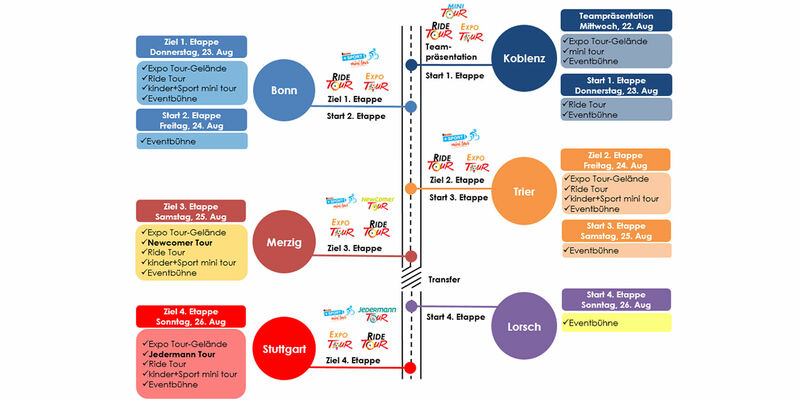 Germany's only stage race of the men's elite - with many different side events creating a major cycling festival!